Homes for Sale North Fork - Search homes for sale in North Fork. 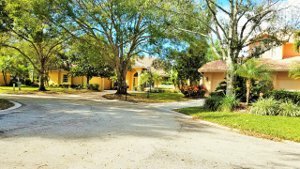 See all MLS Real Estate and homes for sale in North Fork, Jupiter FL. Community info, photos, and listings. 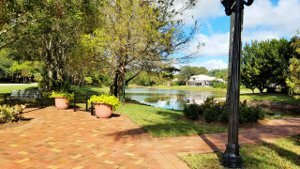 North Fork is a lovely gated community of homes in the town of Jupiter offering residents a unique setting. 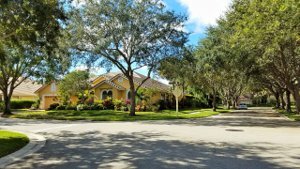 North Fork community's beautiful tropical landscaping provides a natural setting in the quiet neighborhood. North Fork residents can stroll along winding streets shaded by mature oak trees. North Fork is located on the northwestern side of town, behind The Shores of Jupiter. 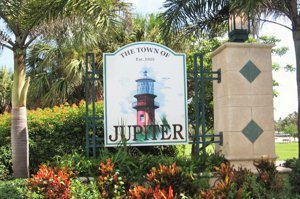 It is easy to access many of Jupiter’s exciting activities and recreation since they are only a short drive away from North Fork homes. Real estate in North Fork is made up of 132 custom built single-family homes. There are 95 homes on the East side and 37 on the West. The homes in North Fork are custom-built designs and range in size from 2,300 square feet to 4,000 square feet. There are eastern and western gated entrances. Many are situated on oversized lots, up to 1/2 acre in size. 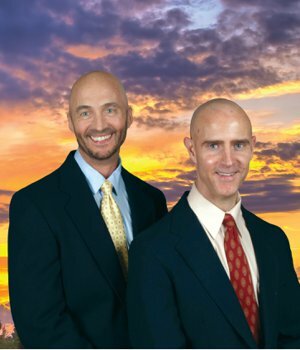 call the North Fork Experts, Thom and Rory. The homes have up to 5 bedrooms and 3.5 baths and 3 car garages. Luxury amenities often include private pools, tall ceilings (11-ft and higher), wood floors, granite counters, French doors, screened patios, crown molding, Roman bathtubs, stainless steel cabinets. Some homes have views of the small lakes that are scattered around the North Fork community. North Fork residents live very close to Jupiter’s best recreation and dining. I-95 is nearby, which makes it easy to reach downtown West Palm Beach or the International Aiport quickly. Jupiter’s famous beaches are only about 10 minutes away, and the majority allow dogs and cost nothing to visit. Harbourside Place, one of Jupiter’s newest attractions located in the River District, is an outdoor mall full of restaurants, shops, and an amphitheater that hosts fun events. Jonathan Dickinson State Park features local wildlife and trails for off-road biking, horseback riding, and hiking. North Fork residents have a great mix of local restaurants to choose from. Little Moir’s is a seafood café, Center Street Nook is a casual American diner, Old Florida Bar and Grill is a wonderful dining spot with a bar, and Guacamole is a Mexican place. Tommy Bahama restaurant and Calaveras Cantina both at Harbourside deliver excellent dinners and drinks. There is something for everyone’s taste. If you need to go shopping, North Fork homes are close to several great options. The Gardens Mall boasts over 150 shops, including department stores like Macy’s and Nordstrom and top designers like Tommy Bahama and Michael Kors. Restaurants in the mall include Coopers Hawk, P.F. Chang’s China Bistro, and Brio Tuscan Grille. Downtown at the Gardens is an outdoor shopping center that has everything from sports equipment to upscale boutiques. A Cobb 16 movie theater offers a place to catch the latest blockbusters. Also nearby are Trader Joes, Whole Foods. Residents of North Fork homes for sale are served by the School District of Palm Beach County. The public schools regularly receive “A” ratings and feature top-notch programs for all grade levels. For alternative education, there are several private schools in the area. North Fork’s priority to these top schools makes it an ideal place to live for families. GET TO KNOW MORE ABOUT JUPITER HERE. HOMES IN THE NORTH FORK COMMUNITY WILL GO QUICKLY WHEN PRICED WELL. BE SURE TO GET ON OUR ADVANCED NOTICE LIST TO RECEIVE IMMEDIATE NOTICE OF THE LATEST LISTINGS PRIOR TO OR WHEN FIRST PRESENTED ON THE MARKET IN THE MLS.